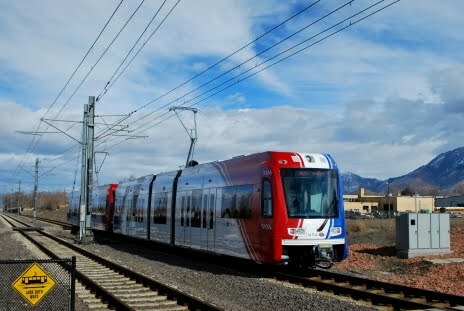 UTA will be holding a special celebration August 3rd for the opening of the Mid Jordan and West Valley TRAX lines. Trains will be operating on their new schedules offering public rides from approximately 9:00AM to 11:00pm. Fare will be free but are encouraged to bring food items to donate for the Utah Food Bank. This will be an excellent opportunity to check out the newest light rail lines in the country and ride the new S70 low floor light rail vehicles. I will not have the opportunity to ride the new lines until sometime in the future probably next June or so. I look forward to checking them out. Recently a prominent state rail advocacy group signed on accepting the ultimatum of a major railroad. What does this portend for the rest of the country? Back in January of 2008, not long before the most recent resurgence and subsequent retreat of American High-Speed Rail, Rick Harnish of the Midwest High Speed Rail Association was one of the highlighted speakers at the Carmichael Conference held in St. Louis, Missouri. An interesting anecdote during his lecture told of the public’s reaction to plans for high-speed trains: “How do we get the trains we already have to run on time,” and “How do we keep the bathrooms clean.” This may lead one to wonder: Are the public’s expectations low or just realistic? As has already been covered by This Week, Norfolk Southern’s CEO, Wick Moorman, made it clear that for his railroad “passenger train” means 79 mph, maybe 90 mph in certain circumstances. Ergo, the extension of regional trains in the Commonwealth of Virginia to Norfolk will top out at 90 mph. CSX has the same vision for passenger trains. In upstate New York, CSX has stipulated that 90 mph be the top speed for the current service running from Albany-Rensselaer to Buffalo. The government of New York State sees things quite differently, pushing to raise those train speeds to 110 mph. This is where perception meets reality; the former New York Central main line, the storied Water Level Route, is the property of Jacksonville, Florida-based CSX. To be sure, the ultimate goal of ESPA is to realize 110 mph trains in New York State. Still, they have wisely determined that half a loaf, paid for by someone else, is better than none. They must also be keenly aware that time is of the essence. As per the Passenger Rail Investment and Improvement Act of 2008, specifically Section 209, it is expected that individual states will be held responsible for the operating losses for such trains. If everything had gone as per the language in the PRIIA, then in October, 2013 New York State would have to buy the cow because the milk will no longer be free. In other words, with no negotiated agreement in place by October 2010 there should have been accelerated implementation deadline for the Surface Transportation Board-issued standards. Instead of five years from enactment if the schedule had been followed, with the STB involved, it was supposed to be two years (the missed deadline) + 120 days (the STB decision) + one year = three years and four months vice five years. The STB was required to issue standards by mid-February 2011, to become effective and binding one year later. To be certain, the Surface Transportation Board has more than enough on its plate these days, what with every utility in the land seemingly attempting to re-regulate the railroad industry. As such, they are more than content to sit back and watch the negotiations from afar, and will only intervene if a dispute arises between the states and Amtrak. This is nothing we have not seen before, here at This Week. We fully expect Amtrak to come into the STB waving a tardy “agreement,” and then the STB to take the path of least resistance by adopting it. The inherent danger of such after-the-bell acceptance would be the serious legal questions about the validity of any cost standards thus generated. Any other operator seeking to bid on any route negotiated with this agreement will be free to challenge said standards simply on the basis of missing the October 2010 deadline, and the STB’s subsequent failure to promulgate standards unilaterally as specified in the PRIIA when that happened. The Future of American Passenger Rail Corridors? No matter how you slice it, the costs of transportation, all transportation, are going to be reallocated such that the states will have a more direct financial responsibility. The Passenger Rail Investment and Improvement Act of 2008, specifically Section 209, has a goal of establishing a uniform strategy for determining those costs of train routes 750 miles and under and then passing the bill along to the states. Translation: The federal government is getting out of the corridor business. Eventually we will see the same scenario with the Northeast Corridor. Connecticut and Massachusetts already own all or a substantial portion of their intrastate section of the route. The states already have the bureaucratic machinery in place for their commuter services. The maintenance needs of the NEC are roughly $500 million per year, which comes out roughly to $1 million per mile. New Jersey would have the largest stake, at 58 miles. But they also have the largest NEC demand: NJ Transit. Is it any wonder that New Jersey politicians are fighting tooth and nail to keep the status quo? The next logical step would be to bid out the premium services. If, say, an entity such as Sir Richard Branson’s Virgin Trains wins the bid, they purchase and maintain their own equipment; they pay an access fee, and the public gets to ride in the same manner as it would if it had flown. The private entity now has room to innovate within the bounds of its own equipment and on its own dime, far from the scrutiny of the budget hawks. In the real world of HSR, this is becoming a reality. In 2013 German Rail (DB) will commence HSR Intercity Express (ICE) service from Frankfurt and Amsterdam to London. The existing HSR services on the lines will continue to run. Although DB is a public entity it is improvising like a private company. This also demonstrates that HSR can be done over someone else's infrastructure, and that competing HSR services can coexist. That is about the practical extent of “privatization” in the corridor world.